Violet’s keen eye for detail and appreciation for quality in San Francisco home aesthetics has been fine-tuned during her seven years as interior designer and marketing manager in a city-based residential construction company. Violet spent most of her life in San Francisco and the Bay Area. 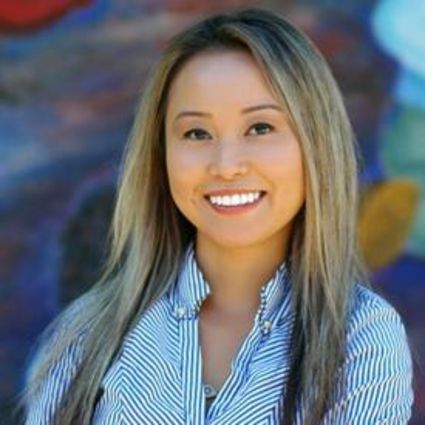 She holds a bachelor's degree in marketing from San Francisco State University. Violet is a skilled communicator and is bilingual in English and Vietnamese. Violet's background in a family of local housing investors makes it clear that the apple doesn't fall far from the tree. Growing up in a real estate family means that Violet has been well trained to always have her eye on the ball in the fast-paced world of San Francisco housing and pricing trends. Violet currently serves on the Mission YMCA board of directors, and her work in the community has included fund raising monies to provide over 30 scholarships for kids to go to summer camp. She is an advocacy of fundraising, creating opportunities for the youth, and making a difference in her community. Violet is also the owner and founder of 'Drink the Wink", a line of nonalcoholic beverages that is liken to a craft cocktail made to order, that caters to events and open houses. Violet's passion for helping others inspired her to create “Drink The Wink”, so that she could help make people's lives healthier in a fun and social way. Balanced? Flexible? Definitely...Violet is also a yoga enthusiast because she is committed to her health as well as the health of the people around her. In whatever spare time might be left over, Violet is involved in hobbies as wide-ranging as furniture making and restoration plus getting outdoors for hiking, snowboarding and scuba diving to match the season. Violet’s upbeat entrepreneurial spirit and tenacity to drive results makes her the kind of real estate agent that we attract and that our clients appreciate.